Retail fabric store featuring quality quilting fabrics, patterns and notions. Pfaff sewing machine dealership. 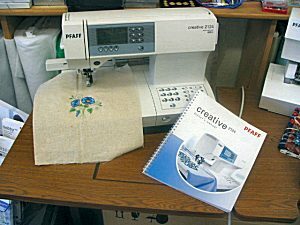 Classes offered in quilting, home decor, clothing and machine use provided. Fabrics and kits with Maine themes available.